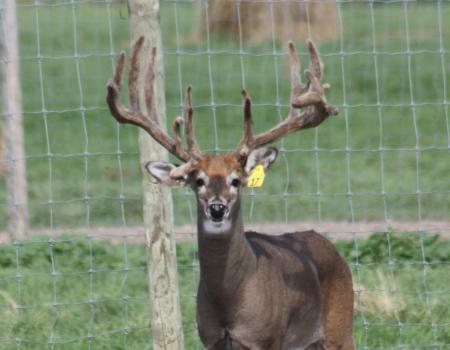 32 Stitches is pictured as a yearling. 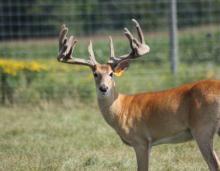 He is the best looking yearling I have ever raised. 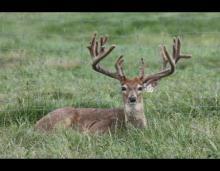 Canyon was 26 inch wide and had a 5x7 mainframe with matching double drop tines. 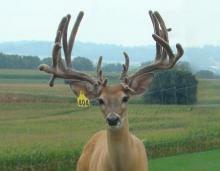 He scored 234 inches. 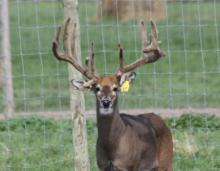 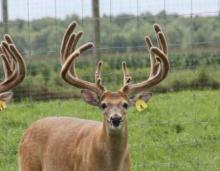 212 inch typical at age 2 - winner of NADeFA and numerous other typical antler competitions at age 2. Granddam, Blue 28 was womb sister to Canyon. 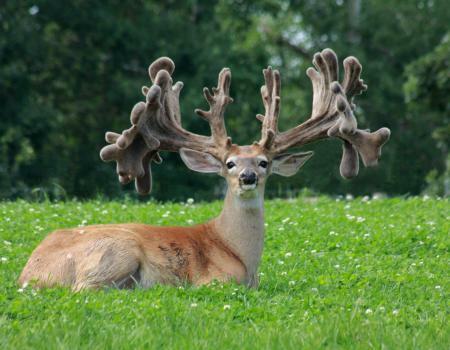 Flex won typical antler competitions at age 3. 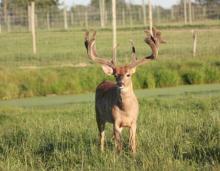 Maxter was a great producer on my farm. Mr. 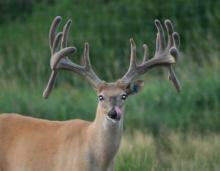 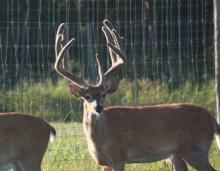 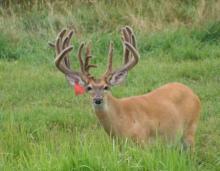 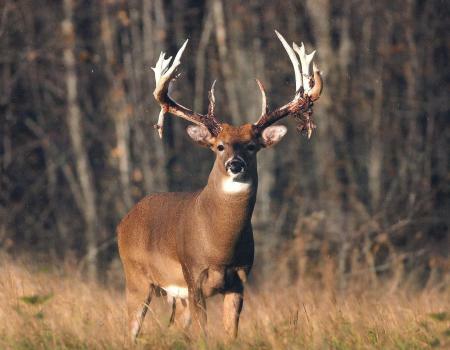 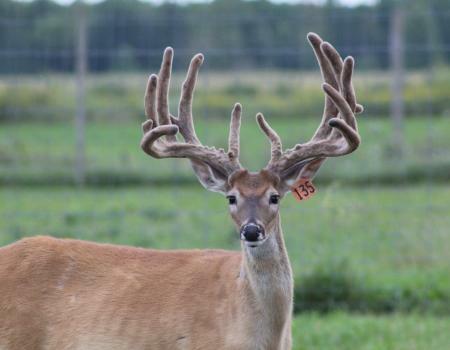 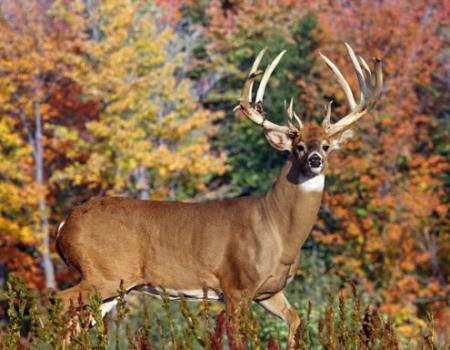 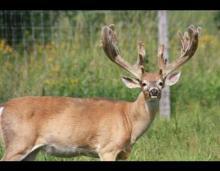 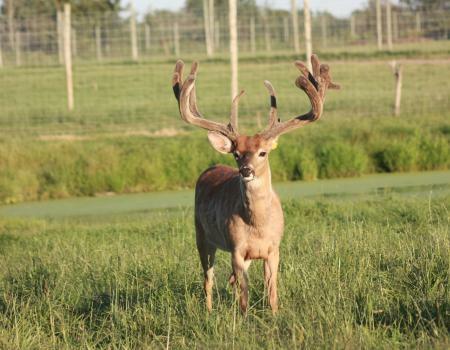 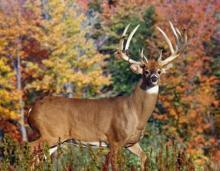 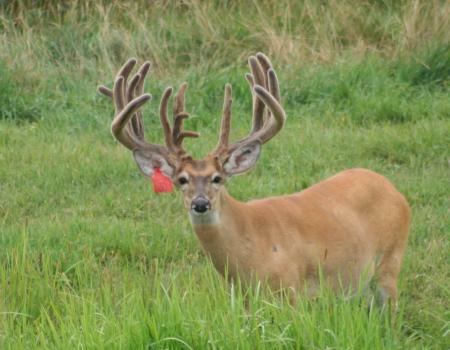 Perfect pictured at age 2.
winner of numerous typical antler competitions at age 3, 4 and 7. 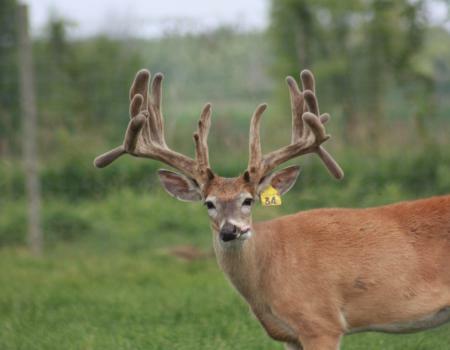 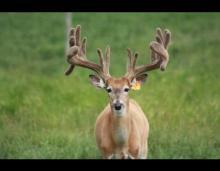 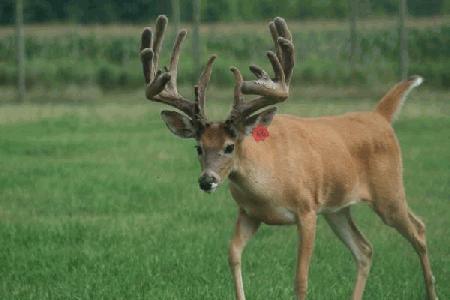 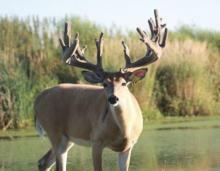 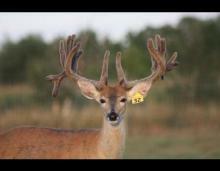 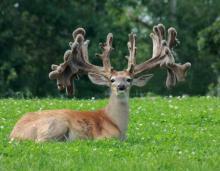 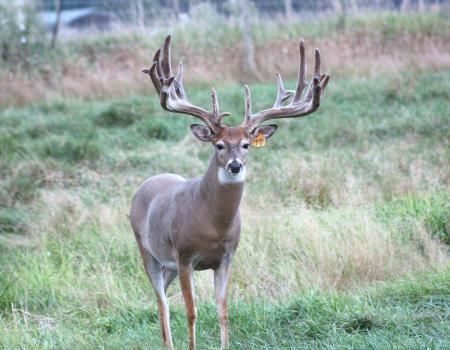 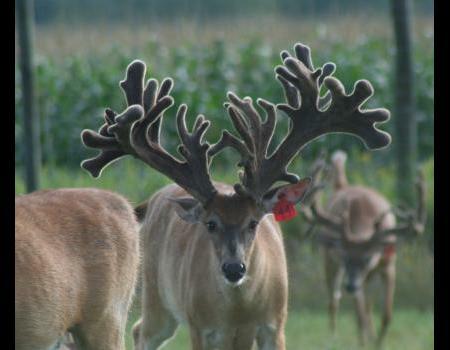 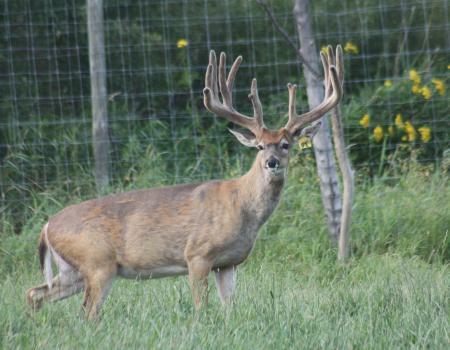 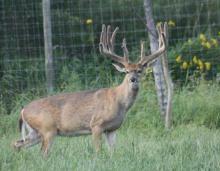 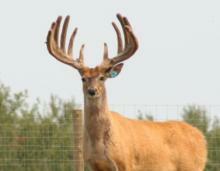 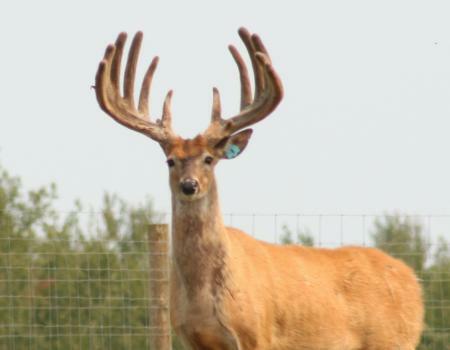 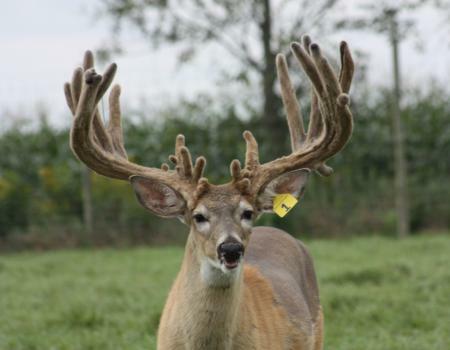 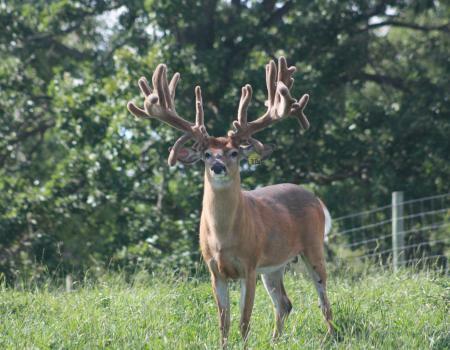 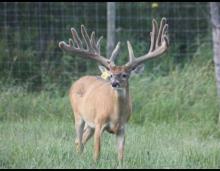 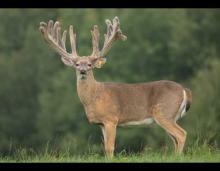 Huge body and huge typical antlers continue to be passed down through his genetics. Tea 4 Texas scored 196 at age 1. Nice symmetrical frame on a huge non typical. 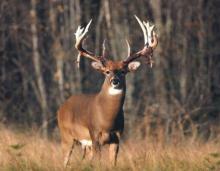 He is pictured at age 3.